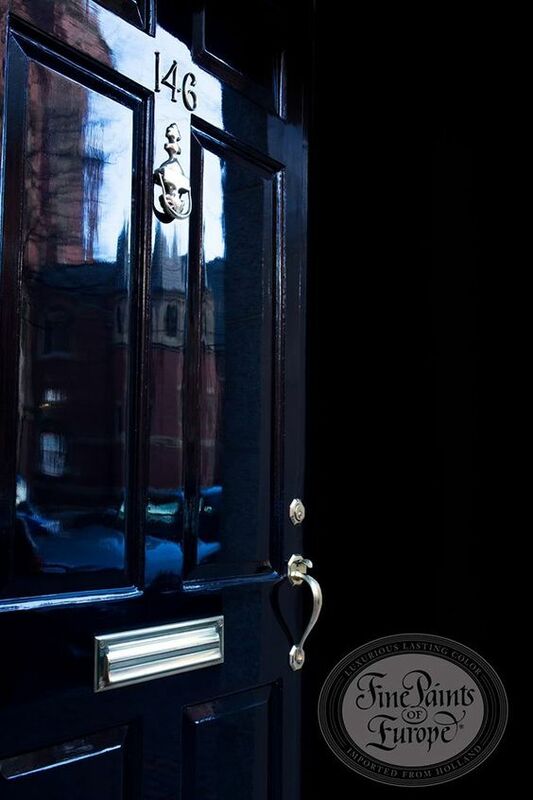 There is nothing like a door painted in Fine Paints of Europe especially in the Hollandlac Brilliant full gloss finish. 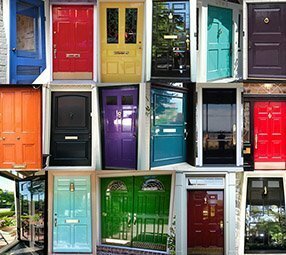 You may have seen these beautiful painted doors in the Netherlands and paused to admire the variety of colors and the unique finish on them. 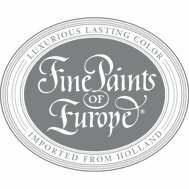 That’s what happened to the late founder of Fine Paints, John Lahey Sr., during his European travels and why 29 years ago he decided to make Dutch paint available in the United States. Now we can all have a beautiful and durable door finish like this! So, there are two ways to get this dreamy paint finish on your door (in any color!). You can hire a professional painter; who can paint on site, or remove your door and take it to their shop to be prepped and painted in optimal conditions where you will get an amazing finish without any of the dirty work. Or, if you have the patience to roll up your sleeves and do it yourself, here’s how! Wash your Door. Use detergent and water and rinse well. Door needs to be completely dry before priming. Fill and sand any imperfections using 220 grit rubber back sanding block. Prime the door, including the top and bottom of the door to create a “seal” to keep moisture out. Allow primer to dry overnight. USE FPE Oil Primer/Undercoat for wooden doors, Primer AC for steel doors, and Key Primer for fiberglass doors. NOTE: Palette will tint your primer to your ultimate door color so you can start building your color on the first coat. Speaking of color, we can help with that too! Stop by anytime for color advice and DIY help. We mix your paint while you wait, and are FPE Certified and able to answer all your questions. Sand the door with 220 grit sanding block and wipe the door down with a clean rag sprinkled with a splash of FPE Mineral Spirits. Apply the first coat of Hollandlac Brilliant (or Satin) in a thin even coat using a good oil brush (invest in one!). The marine grade paint is self leveling, resist overworking it. First coat needs to dry overnight. When fully dry, sand the door again using the same method, including cleaning away the dust to get ready for the second (and hopefully final) coat. You are keeping it smooth each step of the way to assure a beautiful shine on the last coat. It’s time for more paint.The second coat will glide on the door at this point, remember to keep a thin coat and allow the paint to level out. Work quickly and don’t panic by overworking it to get rid of brush strokes. It takes about 15 seconds for the brush marks to level out on their own. Trust it. Thin coats are the priority, too much paint on the brush will cause running (sagging), if you have to do a 3rd coat for coverage, depending on color, then do it! Follow the same steps between coat 2 and 3. The key is patience between steps. 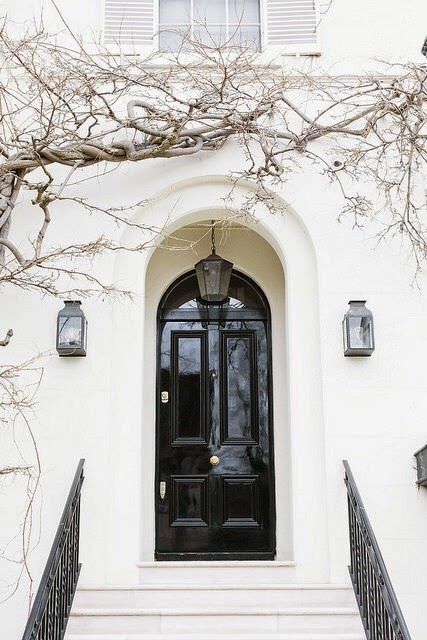 We’ve seen some amazing DIY doors. 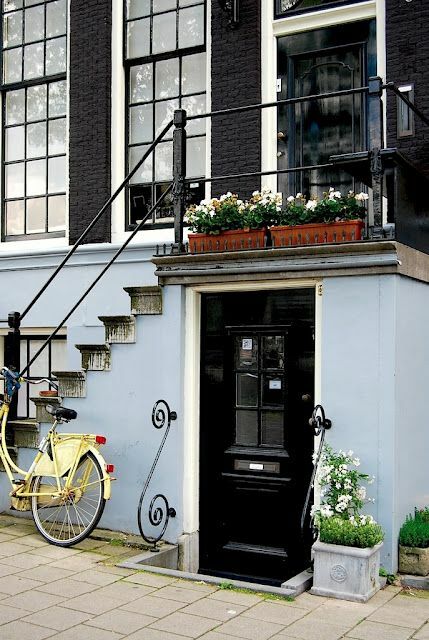 Fine Paints of Europe says if you follow the proper steps, “even a first-time painter can expect a beautiful, professional quality result and a finish that will look newly painted for several (5-10) years.” Good luck and Enjoy! WANT TO HIRE IT DONE? We recommend H.J.Holtz & Son, Master certified paint contractor in Fine Paints of Europe for Central Virginia for painted perfection! 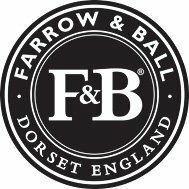 Or you can find your local FPE certified painter for other states listed with Fine Paints of Europe.